Since email has been in existence, analysts have predicted its demise. Such predictions grew especially loud in the wake of growing social media adoption. Yet, people continue to use email in their personal and professional lives. If anything, email has become more relevant than ever before, especially as a marketing tool. Globally, about 300 billion emails are sent every day. Whereas about half of these are spam, this staggering number demonstrates the sheer magnitude of email communication. Any business that ignores email marketing only imperils itself. However, an email campaign can only be as successful as the strategies, tactics and plans one employs. To get the most out of your email campaigns, you need to pay attention to a number of core principles. When you begin an email campaign, you likely have a product you want to sell. Identifying what product you want to promote is relatively easy. What might not be so obvious is who your end customers are. A deep understanding of your audience is critical if you want to get your message across. For example, are you selling to millennials or baby boomers? Even when your product resonates with multiple demographics, the content, tone and structure of your email matters. A fun and exciting storyline containing the latest buzzwords may entice millennials, but that same email may be viewed as unprofessional and overly casual by baby boomers. Market research will help you get a clear idea of what your prospective customer’s profile is. The more detailed, the better. Capture as much data about your potential consumers as you legally can, including their gender, age group, income band, asset band, vehicle ownership, geographical area, marital status, parenting status, education level and profession. You need to perform a deep-dive analysis of your product, one that goes beyond its superficial attributes. This analysis should be viewed in the context of the target market mapping. What aspects of your product makes it a perfect match for the needs of your audience? What distinguishes it from the competition? Remember that an email isn’t an eBook; you have finite space to make your case to the recipient before they lose interest or have to move on to something else. You want brief yet high-impact points that rapidly breakdown and explain your product or campaign. You can only accomplish this if you’ve done your homework and know exactly what your unique value proposition is. Your product has certain attributes that underpin its unique selling proposition, but a product is just one (albeit central) element of your business. A business is a complex organism that comprises multiple moving parts such as people, policies, procedures, plans and systems. Though your product may be near perfect and far better than the competition, it’s success in the marketplace will be contingent on how your business’ components work in harmony. For that reason, you must take stock of your company’s strengths and wield them to your product’s email marketing advantage. Since the 1990s, personalization has been touted as the panacea for online and offline marketing woes. There’s plenty of truth in this belief. Many customers are happy to be addressed directly, as opposed to being just another recipient of a cookie-cutter message sent to a massive mailing list. Think about the emails you receive from ecommerce behemoth Amazon. It’s “Dear John” and not “Dear customer.” Founder and CEO Jeff Bezos makes sure he reads some customer emails and forwards to the appropriate Amazon employee for action. Use the customer data in your possession (such as name, location, buyer history and demographic) to give a more individual feel to a message. Personalized emails can grow sales at 6 times the rate of non-personalized messaging. Personalization also reduces the risk of your messages being flagged by spam filters. But personalization isn’t guaranteed to produce results, especially because so many organizations are now doing it. Recipients could perceive it as forced friendliness. In addition, not all customer data is created equal from a personalization perspective. Incorporating buyer history delivers much higher email success than simply using the customer’s name. Think about how familiarity and intimacy are earned in real life. It’s about nurturing a relationship. You need to demonstrate that your company and its products are trustworthy, reliable, predictable, committed and supportive. So by the time you start to refer to a customer by their first name in your messaging, it’s not skeevy, fake and superficial; there’s a solid track record to back it up. The subject line is the biggest determinant of whether a recipient will open your email or not. Remember, only a fraction of subscribers will open and read your email, but a far larger portion will read the subject line. Take time to make your subject as compelling as you can. You could, for instance, entice customers with an irresistible discount or spell out an impending sale. Use the recipient’s name in the subject line to create a personal connection. 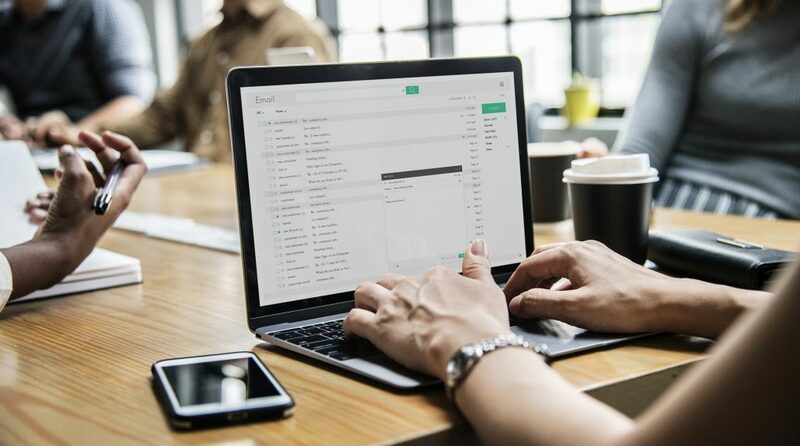 You could try out multiple subject lines (perhaps three to five) on a single email campaign to see which one is most persuasive in getting the recipient to open the mail. You have to pay attention to the length of your subject. A short subject line (49 characters or fewer) with the right wording has proven to increase the likelihood the recipient will open an email. Short subject lines were a crucial element in the success of Barack Obama’s 2012 email fundraising campaign. However, longer subject lines (70 characters and up) have also been shown to increase the odds of the subscriber reading the entire length of the email. Since your subject line should not be a paragraph, it’s all about striking the right balance. Note that about half of emails today are read on a mobile device, and that proportion will only continue to rise. The character-length must take the limitations of mobile screens and email apps into consideration. Time Table: When is the Best Time To Send? When it comes to communication, timing matters. The exact same email to the exact same audience will have varying open and read rates depending on what day and time it is received. Generally, emails with the highest open and click-through rates are those that go out between 8pm and midnight. If you think about it, this makes sense. For starters, most adults are engaged in work between 9 a.m. to 5 p.m., so they are likely too busy to have time to read emails as they come in. Second, since many emails are actually sent out during the day, your email will be competing for attention with many others. 8 p.m. is a great time because most people are back home and likely laid back and scrolling through their smartphone. Therefore, an email alert that comes in at this time could have better odds of receiving the subscriber’s full attention. However, if you have to go with the 9 a.m. to 5 a.m. period, your email has a better chance of being opened if it’s received between 10 a.m. and 11 a.m. That’s perhaps because people have finished going through the emails that came in after they signed off work the previous business day. They have a cleaner inbox, so a new mail has a higher chance of being noticed. That being said, there may be unique dynamics in your industry, so don’t hesitate to research and experiment with different timings to see what works for you. Also, timing is relative to the day of the week; the best timing on a Monday may not be the best timing on a Saturday. One important element of getting the timing right is knowing what time zones your subscribers are in. If they are spread across time zones, it would be prudent to segment and stagger release times so the email is received at the right time of day in each time zone. As you are starting to notice, email marketing is a science that’s driven by several principles. It’s easy to manually apply these principles when you have a tiny mailing list with just a couple dozen subscribers. Things become far more complex if your subscriber list has thousands or millions of addresses. Personalization, tracking and troubleshooting would be an arduous task in the absence of automation. Fortunately, there is a wide range of free and proprietary software in the market (see some on AccuWeb Hosting’s blog) that automate and authenticate much of the email marketing process. It could mean using synonyms to ensure the same email contains substantial word variation for each recipient. It may be keeping track of bounced emails so they are removed from the subscriber database (or, where possible, the customer sees a popup to correct their email address when they sign onto your website). You could also benefit from trigger emails, which are messages that go out when a website visitor takes a certain action such as abandoning a shopping cart. Chances are, your product or message is relevant for multiple demographics. As we mentioned at the beginning, you should tinker with the content of your message depending on who your audience is. For example, millennials have grown up around customized digital messaging and, therefore, expect it. Sending out an email that doesn’t include their name may not work well with this demographic. On the other hand, baby boomers have long been accustomed to messaging that isn’t personalized. In fact, they may view such emails as more professional than personalized email. This is just one example; prepare to do quite a bit of groundwork to understand your various audiences so you can detect trends, habits and preferences common to different demographics. Personalization is also about identifying which parts of your email to personalize. Maybe you want to recommend different products to different recipients depending on their demographics. So, although the rest of the email may be identical for everyone, this is the section that will vary. If you’re a regular Twitter user, you may have noticed people are far more likely to respond to a poll than they are to like or retweet a post (see this example). That’s the power of a question. Questions provoke interaction and engagement. People love to have their voices heard. Ergo, asking a question in the title or subheadings of your email will increase your open, read and click-through rates. Unless the nature of your product or recipients demands it (such as a message sent out to surgeons), keep complicated wording to a minimum. Your goal is to communicate your message quickly and effectively. It would be self-defeating if your subscribers have to keep checking a dictionary to understand what you mean. In any case, jargon is often seen as an attempt to mask the shortcomings of an inferior product. Give the call-to-action (CTA) the prominence it deserves. Your email could make a convincing case for the subscriber to click on the CTA, but none of that will matter if you make it difficult for them to find the CTA. Prominence means using larger font, bold text, a catchy color or other form of highlighting. The subscriber should see the CTA within the first 5 seconds of opening the email. Humans are creatures of habit. They expect predictability and patterns in the people and things they interact with. Changing your email’s tone, timing, frequency, structure, color and font every week will only breed confusion, as it reeks of indecision. That’s why it’s so important to use A/B testing early to find out the exact email and web page attributes that work and stick to this strategy for at least a couple of months before making any major changes. Consistency is key, and it will affect your email’s impact over the long term. Email has greatly evolved over the years, and your email marketing approach must do the same. By applying the principles discussed here, your subscribers will be more responsive, your click-through rates will grow and your business will thrive. Ashley Lipman is a content marketing specialist. Ashley is an award-winning writer who discovered her passion in providing creative solutions for building brands online. Since her first high school award in Creative Writing, she continues to deliver awesome content through various niches. Previous Article Previous post: Will Fingerprint-Reading Debit Cards Become the New Norm?